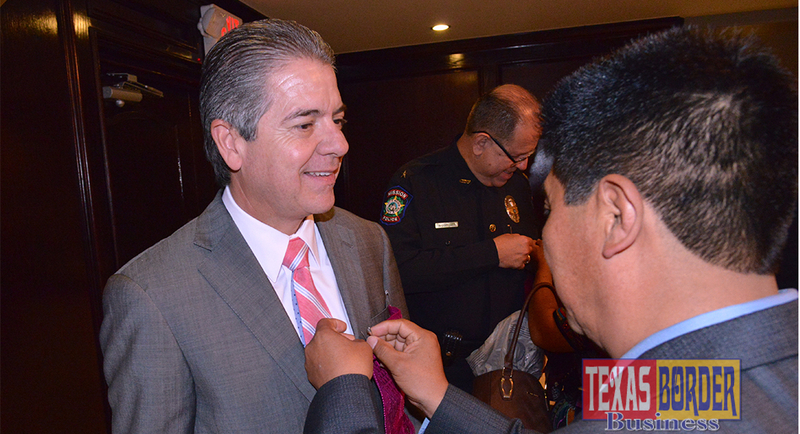 Martin Garza, Jr., a quiet and gentle man, has been an effective professional during the time that he has served the city. He became a familiar face when he acted as Mission Police spokesperson and appeared in most of the newscasts of the Rio Grande Valley. He began his career at the Mission Police Department in 1991, where he served the citizens of Mission for nearly 22 years – working his way through the ranks of Patrolman, Detective, Corporal, Sergeant, Lieutenant, Assistant Chief and ultimately, the Chief of Police. In March 2013, the Mission City Council named Garza the Interim City Manager – 6 months later Garza took on the title of City Manager, serving for the last five and half years. On November 1st, 2018, Garza announced his retirement from the City of Mission, with an effective date of November 30th, 2018. “One of my greatest passions has always been to be a public servant. After 26 1/2 years of public service as a City of Mission employee, I have decided to announce my retirement. Please accept this letter as my formal notification of my retirement, effective November 30th, 2018. Serving as the City Manager for the City of Mission for the last 5 1/2 years has been a great honor and privilege. I would like to thank you for the opportunity to have served the citizens of this great city. I am proud of the many accomplishments we have achieved and the improvements we have seen in the quality of life for our citizens. Mission is my home, and I will forever be grateful to this community.” – Martin Garza, Jr.